Robin Moore, professor of ethnomusicology in the Butler School of Music, has been granted a $5,000 book subvention award by the UT Office of the Vice President for Research’s Subvention Grants Program in support of an annotated translation of the works of Cuban music author Fernando Ortiz (1881-1969), to be published by Temple University Press. 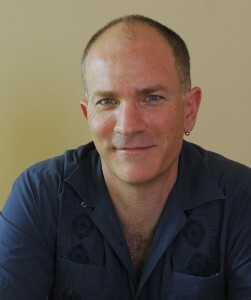 Moore, who has been the editor of Latin American Music Review since 2005, had been considering taking the project on for about five years. He was encouraged by a colleague who is the editor of a series on Latin American music at Temple Press to pursue the project, which meant contacting the heirs of author Ortiz in Spain, making selections of his writings for inclusion, and vetting the idea with the Temple Press editorial board. The working title is Fernando Ortiz on Music: Selected Writings on Afro-Cuban Expressive Culture. Ortiz has received recognition as the instigator and early advocate of Afro-Cuban studies; he founded the Society of Afrocuban Studies in Havana in 1937, and organized and edited periodicals dedicated to the investigation of Cuban traditional arts. Yet despite his importance, most of Ortiz’s works on music—which in fact constitute the majority of what he published—have never been translated into English. Moore will translate several of Ortiz’s essays, including shorter instrument essays on various types of percussion, as well as others on songs, dances, ritual processions and ceremonies in which specific forms of music derived from Yoruba, Kongo, and other West African groups is a central component. To preface the book, Moore will write an extended essay outlining the scope of Ortiz’s inquiries as well as the author’s origins of source material, his changing attitude towards Afro-Cuban expressive arts, and his interactions with academic co-collaborators.